Being one of the most esteemed destinations in the world, the First Cemetery of Athens is an eccentric yet pleasant place to visit. Forget the islands, beaches and landscape for a moment, and focus on these ancient grounds where Greek royalty and prominence lies. The peace and tranquility of this spot is exceptional and completely in contrast with the surrounding municipality. It is very well maintained with perfectly manicured pickets and trees. These are further complemented by artistic tombstones and the smell of constantly burning incense. The craftsmanship is sourced from connoisseur sculptors of the 19th century that sought to create distinctive masterpieces. The most famous among these works of art include Heinrich Schliemann’s sepulcher adorned with scenes of the Trojan War. Another popular work is the classical Sleeping Maiden by Giannoulis Chalepas. 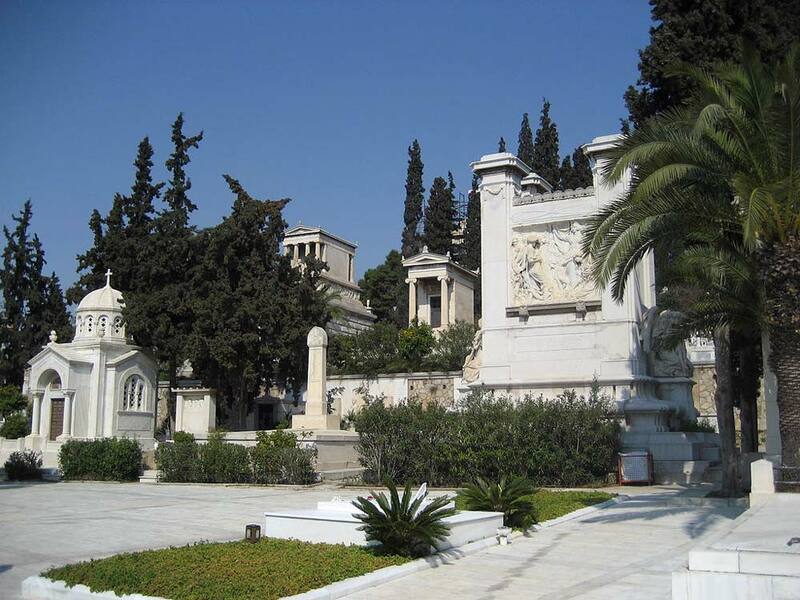 The First Cemetery of Athens is not your ordinary graveyard. Some of the most famed people in Greece are buried here, and with that comes a rich heritage and history that must be told. For instance, the grave of Melina Mercouri, a famous actress and activist, stands at the entrance of the cemetery. In reality, this is an exhibition yard with fine sculpting and fascinating chronicles of celebrated personalities of the past two centuries. Gardening is done to perfection, both by the municipality and volunteering locals. The cypress and pines in the First Cemetery of Athens do well to refresh the air and create a relaxed ambience that is uncharacteristic of a graveyard. It is not unusual to find people having picnics, strolling, or participating in other activities that may not be regarded as normal in a typical cemetery.